What documents can be used by a child for check-in? The standard document authorizing a child to travel by airplane is a passport. An ID card is also acceptable and in some cases even a school ID (for some domestic flights). At the check-in, the same document that was used to provide information for the flight ticket must be shown. Every child must have its own document and cannot travel on its parent's documents. 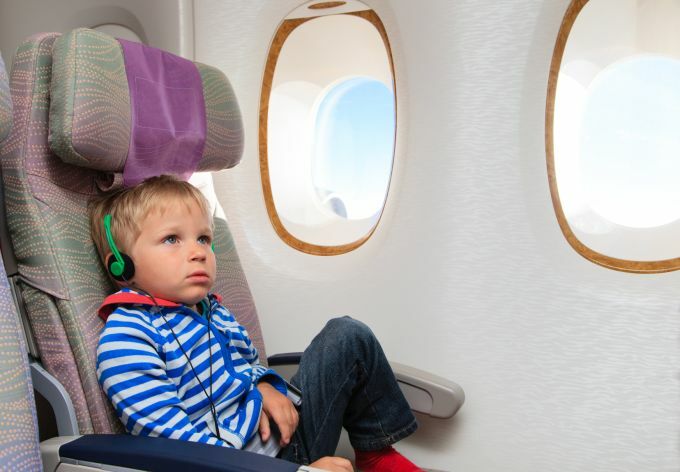 What document does a child need to travel by plane? For flights within the Schengen area, children can travel with an ID card or a passport. For flights outside the Schengen area, a passport is required, and sometimes a visa is necessary too (make sure you check whether your destination and transit countries require a visa). To submit a passport application, typically both parents must appear at the passport office, or one of them may file the application with the written consent of the other parent, confirmed by a notary or by a passport authority. A passport issued for a child under the age of 13 years is valid for 5 years, and a passport issued for a child older than 13 years is valid for a period of 10 years from the date of issue. In justified cases (documented necessity of sudden departure, theft of a passport, etc. ), it is possible to apply for a temporary passport using an expedited procedure – this passport is valid for 12 months. Both parents must agree to their child's travel, however, the provisions of the national law don't require any special authorization when the child is traveling with one parent or with a third party, such as with its grandparents. The fact of having a child's identity document (ID card or passport) by third parties is treated as the consent of the parents for the child's journey. Before leaving, review the information about the procedures for travel by minor children in the countries you plan to visit. This information is typically published on the web site of each country’s embassy.